Online education has become popular among working professionals and students in higher education. These categories of online learners find immense benefit in the autonomy, and flexibility, that these courses offer. Online courses can be planned into their schedule, which may include full-time employment, internships and caring for family. It can also help them take out quiet time to study. Distance learning has been around for a long time, even before technology made it extremely accessible. Traditional schooling is now seeing an increased proliferation of virtual training materials and online courses. Even in a world of tried and tested schooling systems and curricula, the most successful schools are the ones who adapt to the changing times, as well as to the expectations of students, parents and the society. If online education is here to stay, then what are its implications for traditional learning? Instead of focusing on pros and cons, the conversation we should be having today is about leveraging online education to make our education systems more conducive to learning. Online courses call for a greater amount motivation and self-discipline than a classroom-based course. A classroom has one or more instructors and peers, who can hold a student accountable for their course-work. In contrast, online courses involve setting our own goals, tracking progress and meeting deadlines. One does not learn in isolation, so online courses do offer discussion forums, email and one-on-one support. Technology also adds on to the visual experience by incorporating animations, that can be used interactively for effective teaching, and communication. A school provides structure, support, and a system of rewards and penalties to groom its students. Classroom education has the benefit of face-to-face interactions with peers, which are typically moderated by a teacher. It provides children, especially those in their early developmental years, with a stable environment for social interactions, helping them develop skills like boundary setting, empathy and cooperation. This also allows plenty of room for spontaneity, unlike a virtual learning setup. As students’ progress to higher classes, they seek more autonomy and intellectual freedom. Online learning can help them pursue highly individualised learning programmes, possibly even college level courses. These, combined with hands-on exercises, real world exploration, and thorough assessments, can be highly beneficial to their learning progress. They can explore their options, by trying out introductory topics from different fields, before committing to a specialization. Online learning platforms can help these students become more independent learners, before they make their way into college. I believe that we must not hold students back from picking any online course, but instead act as their guide as they navigate through it. Mobile apps that provide enhanced learning opportunities for school children have become mainstream. Since mobile phones have already found their way into their hands, these apps are being used to supplement classroom learning. Teachers and parents need to act as anchors and mentors, curating the kind of educational content students are exposed to, during the tricky phase of finding the right career to pursue. Virtual public schools, that offer a full scale K12 education, have already sprung up in some parts of the world. They even offer a combination of the traditional system with online education. There are programmes that provide support to families that wish to home-school their children, in the form of online course material. These programmes bring parents and teachers into the fold, by involving them into their child’s education from the get go. However, their effectiveness in the long term needs to be studied. Online learning programmes will also open up opportunities for children from weaker socio-economic communities, who possess a limited access to learning resources i.e. teachers, text books and infrastructure. It will connect them to a global network of online learners, exposing them to new perspectives. The ideas that they receive, will not be limited by the number of heads in one classroom. Online education can also be designed to be accommodating of a variety of learning styles among students. 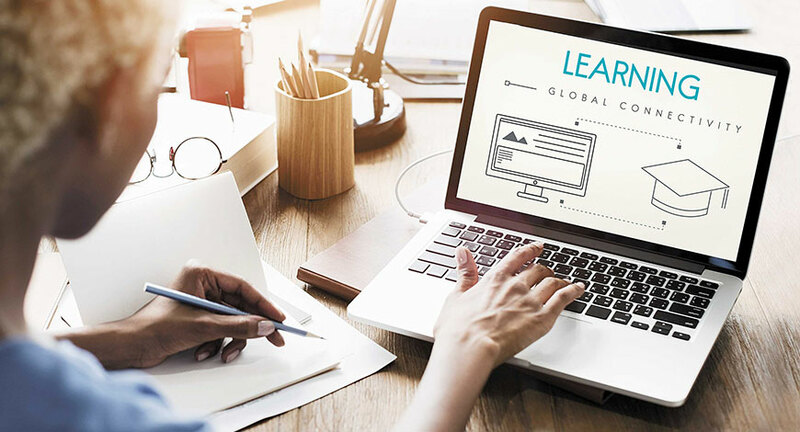 As educators, it is likely that we will have to put in additional efforts to incorporate online learning programmes into the curriculum, in the most suitable manner. Online training programmes are helping teachers/educators advance their skills in curriculum implementation, policy, education systems and leadership, both independently and with the support of their institutions. It lets them collaborate with their peers, and learn new instructional skills, that are relevant to their career. These programmes can help them develop new skills and capabilities in their students, with the help of technology and interdisciplinary approaches. As the overlap of the traditional and online educational worlds is becoming more and more inevitable, we owe it to our students to make their education relevant to their future, through our own ingenuity, passion and careful planning.